A team of Logos Hope's volunteers helped to remove litter from the beaches of Puntarenas, alongside an organisation called Fundación Oro Verde (meaning ‘Green Gold Foundation’). When the team learned that one of the foundation’s employees needed practical help, they made sure to stay in contact with a pastor, who later helped them arrange a new encounter. 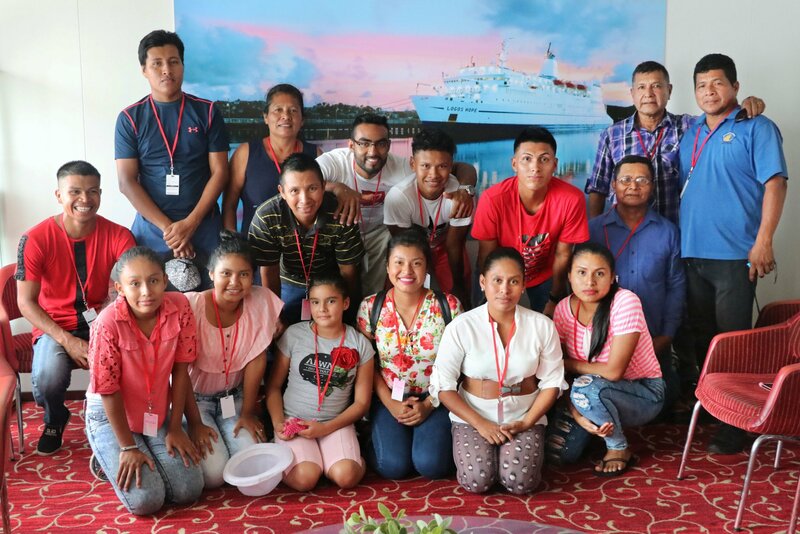 Logos Hope’s maintenance department heard about the employee’s mother, María Peña, whose small house was falling apart, and decided to take care of refurbishing the most urgent needs in the home. The roof was caving in, and water was coming inside. The metal roofing sheets were full of holes and the supporting beams were made out of several pieces of wood put together, which were decaying. The maintenance team tore everything down, lifted the roof off and replaced the sheet metal. María’s only source of water was an outdoor hose, so the team dug around the house and installed two taps inside. The ship team had raised money to pay for the materials, so they could share help and hope with María and cover all the expenses for the work. Tony Patureau (France) explained that they had started the work in order of priority and were planning on coming back a second day to finish, but were not able to do so as Logos Hope had to leave Costa Rica early due to weather conditions. “I was very sad that we missed the last day, I was very much looking forward to it. That is why I came on the ship, to get out and meet people; that’s what I love to do,” David shared.